Throw away fear and hold onto faith. When I was a little girl, I loved fairytales. I believed I was a princess…I felt strong, confident and beautiful. The problem with our world is that it takes young girls who are innocents and turns them into cynics. We learn to laugh at chivalry and the thought of “prince charming.” We are taught not to trust a word anyone says to us. When we are broken enough times, we lose faith entirely. It wasn’t until I really started delving into scripture that I believed in fairytales again. I read these incredible stories of miracles. Jesus would heal the helpless, he loved the hopeless. Still, I felt that none of it applied to me…until I started reading about God’s promises to us. These aren’t the kind of promises that your ex boyfriend or absent father told you. These are living words…these are truth come to life. God promises to love you, bless you, care for you, cry for you, heal you, and spend eternity with you. I know how easy it can be to immediately put down any kind word you are told. We are afraid to believe because we are afraid of that same disappointment coming up again. 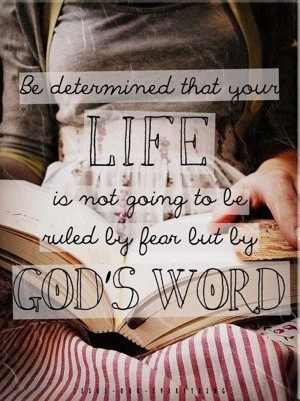 I challenge you today to open your hand and let go of the fear and grab onto God’s word. His promises were written for you. They are personal. Become a fearless woman. Throw away fear and hold onto faith. Next post“God’s Girl” buy 2 get 1 FREE Mother’s Day Special!